This private facility is golf at its finest. Stretched out over 350 acres of New Jersey pinelands, golfers enjoy a golf course that is strategically challenging and quite diverse. The course is not affected by any adjacent housing, making the Ballamor experience serene yet invigorating. 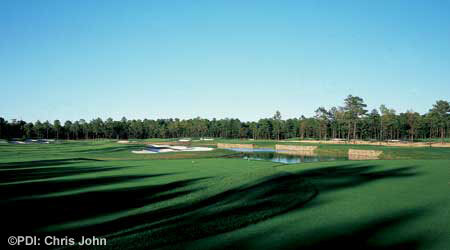 The design of the course also factored in strict environmental constraints associated with the headwaters of English Creek, a tributary to Great Egg Harbor.